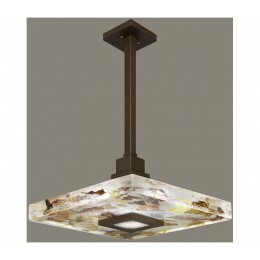 Indoor only, art-glass pendant in bronze finish with handcrafted, polished block of carnelian & citrine crystal shards. 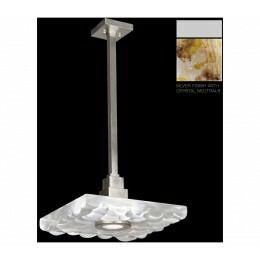 This fixture is photographed with a bright white GU24 4100K CFL bulb (USA). 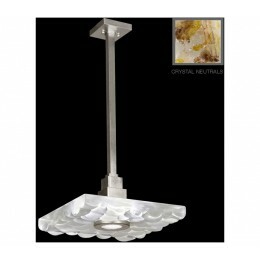 The Fine Art Lamps 818840-11 Crystal Bakehouse collection Pendant Lighting in Bronze uses Fluorescent light output and brings Modern style. This item is 8"H x 18"W. The total wattage is 24 and the voltage is 120 volts. 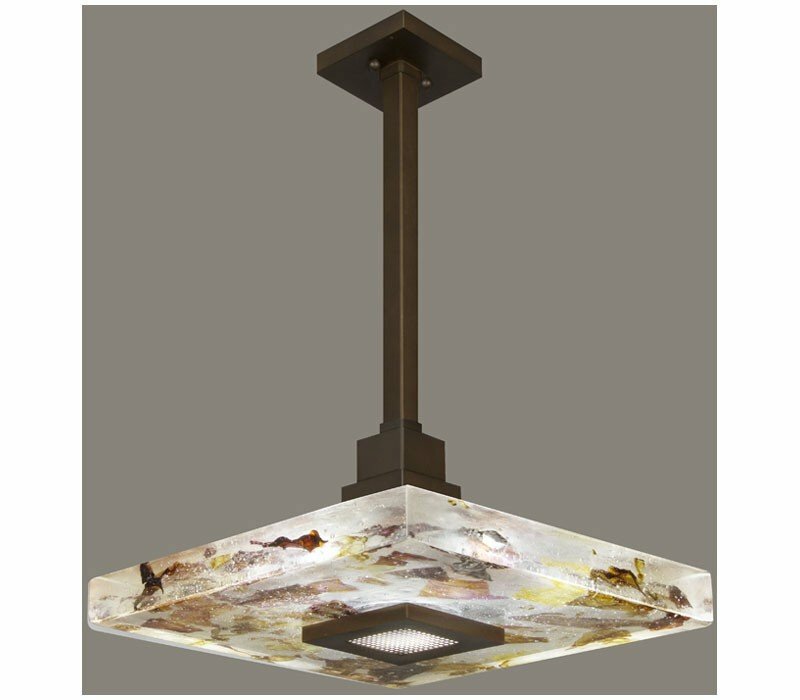 The Fine Art Lamps 818840-11 requires 1 bulb (included). Additional Information: Shade-Handcrafted Polished Block Of Carnelian & Citrine Crystal Shards.